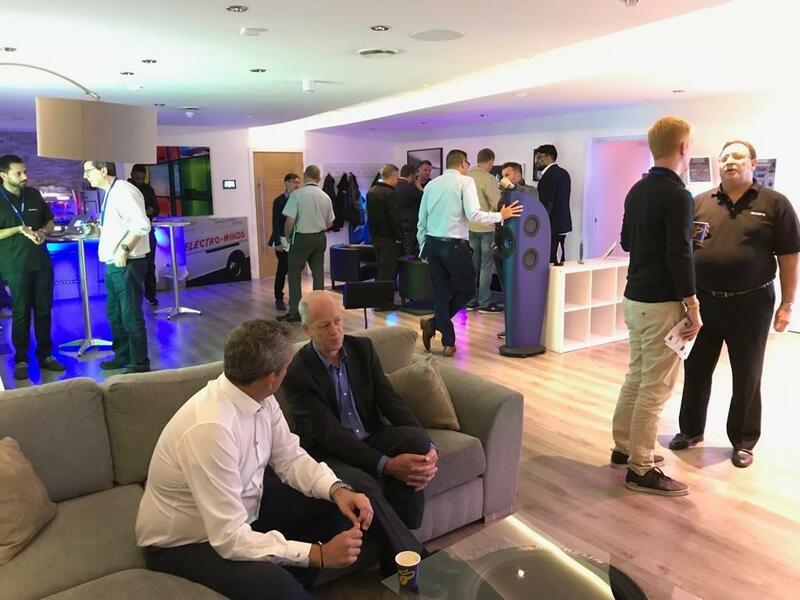 AWE opened its doors on October 9-11 and invited integrators, manufacturers, and the media to be the first to demo new products and experience the upgraded Smart Apartment. 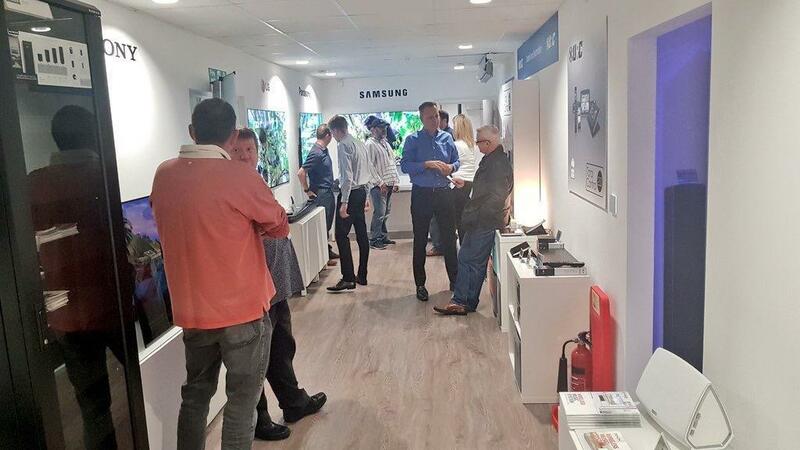 The trade-only event showcased the latest in smart home and audio visual technology. 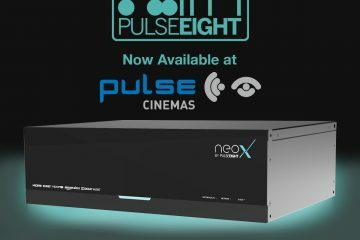 Now with a 7.6.6 speaker configuration, the large cinema delivers the most immersive experience yet from the company. The front stage has been upgraded to the new KEF Ci5160REF-THX speakers. 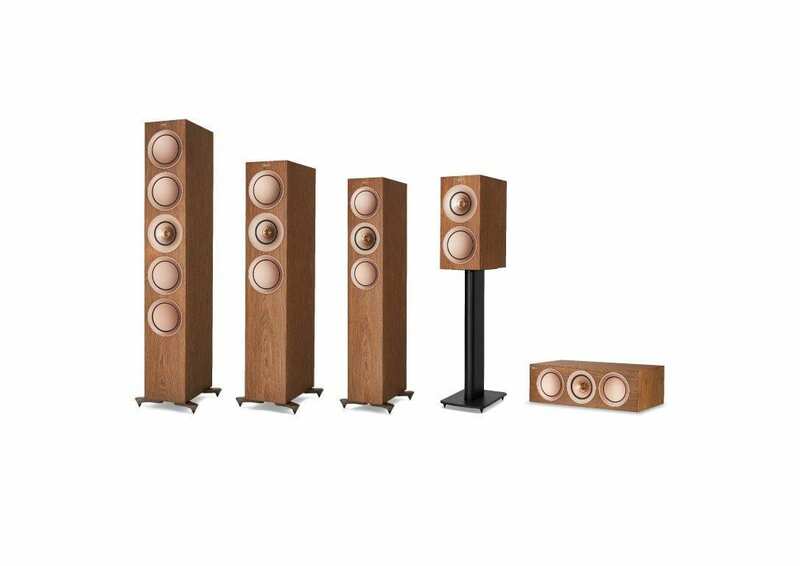 These are built to the same exacting standards as the KEF Reference models. And, like all Reference speakers, the Ci5160REF-THX comes with the Reference Build Certificate signed by the craftsman who built it. 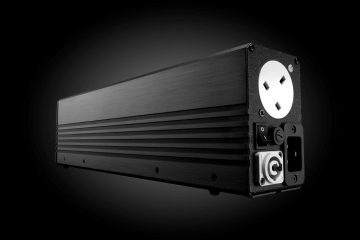 Two of Definitive Technology’s SuperCube 8000s have been added to deliver 1500W each of explosive, precise bass performance. The huge 133in picture was delivered by Epson’s 3LCD laser projector with 4K enhancement. The EH-LS10500 projector boasts Absolute Black contrast ratio. The screen uses Draper ReAct fabric, which allows viewing to occur even when the lights are on. 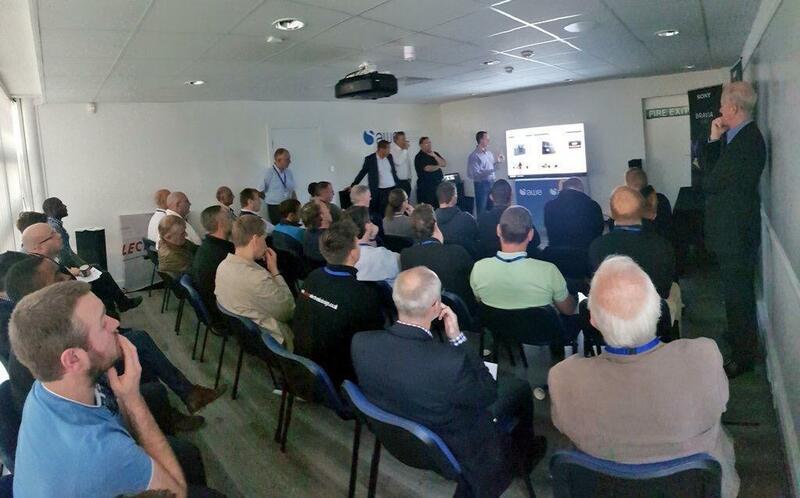 Visitors were treated to the first showing of the Epson EH-TW7400 PRO-UHD, HDR capable projector. 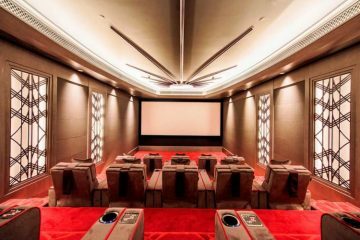 To complement the visuals, AWE has used Definite Technology’s Ultimate In-Wall Reference Series speakers in a Dolby Atmos 7.4.4 configuration. 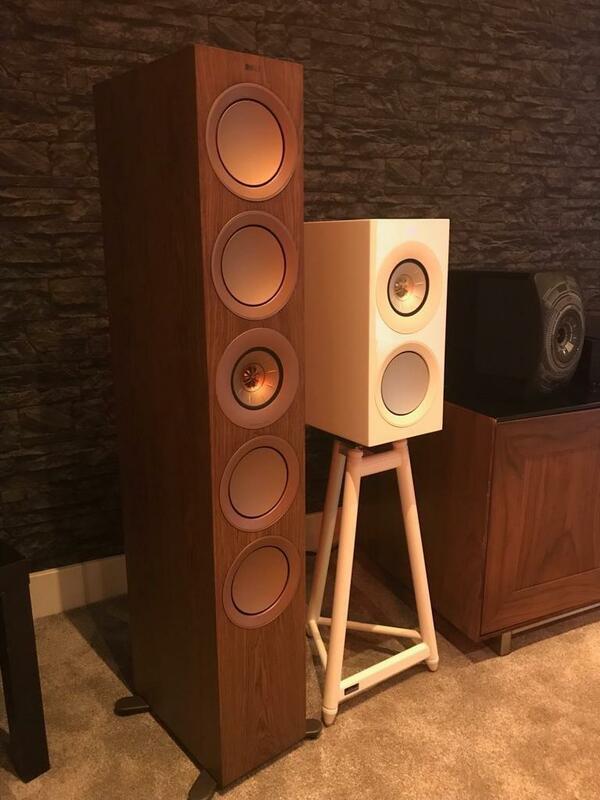 The speakers are fully enclosed units with a depth of less than 10cm, meaning they will fit in standard 4in stud walls, including the subwoofers – each of which houses two 10in drivers. The Marantz SR8012 was selected to drive the sound system. The receiver provides enough amplification to drive all 11 speakers, with subwoofers operating on their own power amplifiers. An acoustically transparent Draper 110in Clarion screen ensures audio is not compromised for the centre speaker placed behind the screen. 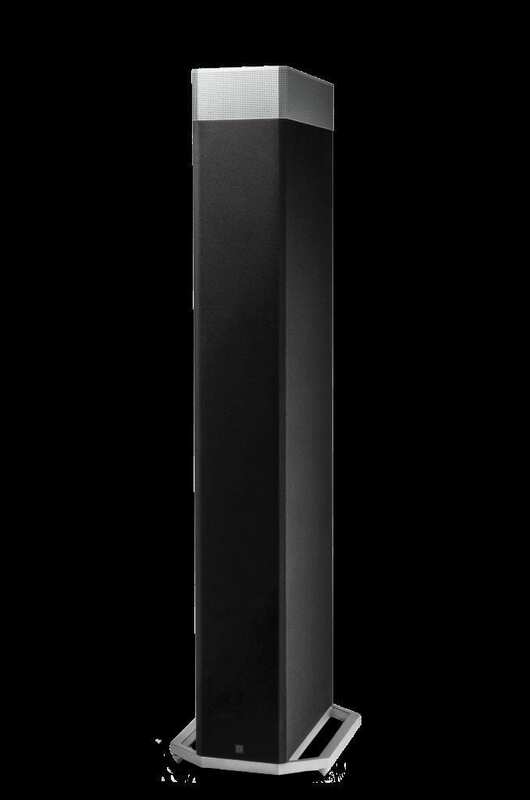 KEF’s new completely re-engineered R Series speakers are now the main feature in the music room. The flagship R11 and stand-mount R3 are on show, delivering more detail, deeper insight, and greater excitement. A dual QMotion wire free blind was installed to enhance the décor. The new URC Total Control 2.0 demo is an integral component to the whole show apartment experience, with AV, curtain and lighting control, intercom, voice control, and automation. The new hardware and beautiful new graphical user interface are sure to impress even the most style conscious user. Samsung’s The Frame TV blends seamlessly into this new space, displaying artwork when switched off. 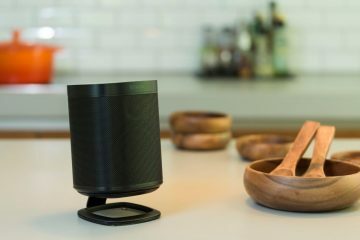 Providing accompanying audio is the small but powerful Denon CEOL10 audio system with Definite Technologies Demand D7 speakers. 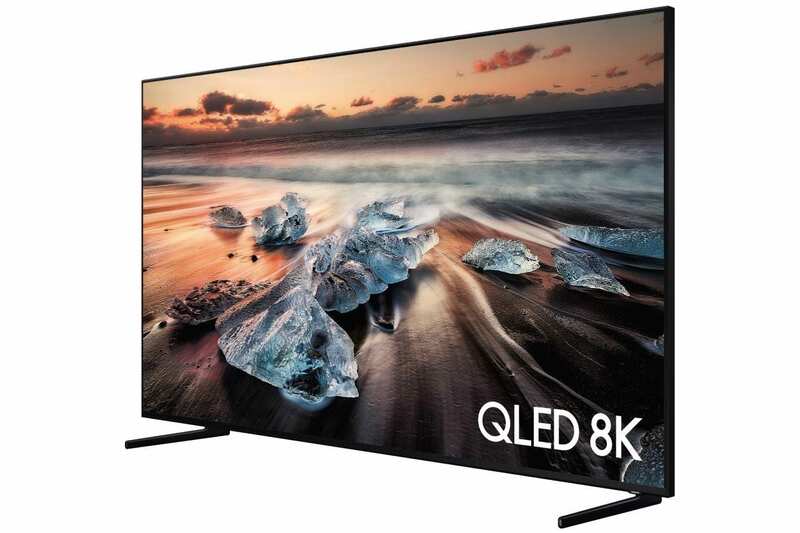 Samsung’s QLED 8K’s true 8K resolution and AI capabilities make easy work of upscaling content to 8K. Its Ambient Mode blends the screen effortlessly into the home, leaving only the frame visible. 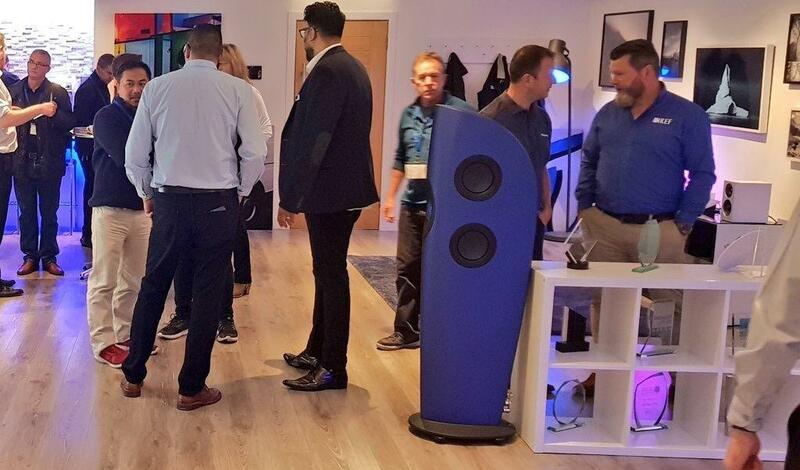 Visitors were able to experience the ultra slim Definitive Technology Mythos XTR speakers, which offer the highest quality sound in a cabinet that is even thinner than the on-display 65in Sony Master Series flagship television. The AVR powering the area is the Marantz SR5013, an AWE exclusive. The stunning 55in luxury mirror television was on show to provide a wow factor for visitors. Also included in the range are IP66 rated bathroom and outdoor televisions. In the comms room, SANUS racks stacked with all the control and AV distribution equipment used throughout the AWE Show Apartment are available to view. 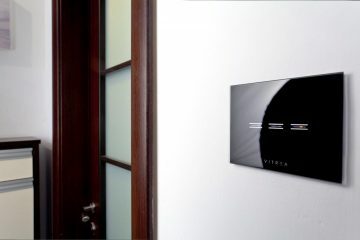 This includes Philips Dynalite, HDAnywhere, and URC Total Control 2.0. The audio system for the Reference Cinema has been completely upgraded, and now features Classé Sigma power amps delivering 400W per channel to the main speakers and a Marantz MM8077 driving the height speakers. The processor delivers 13-channel processing, and the in-walls subs feature KEF KASA500 power amplifiers. The main source is a 4K Pro HDR Blu-Ray player from Panasonic. The latest from AWE’s extensive product portfolio was on show in the gallery. This included speakers from Definitive Technology’s Mythos BP range in architectural ranges, which used a HEOS Drive multiroom audio amplifier. Also on show from HEOS was a range of speakers and the SuperLink. 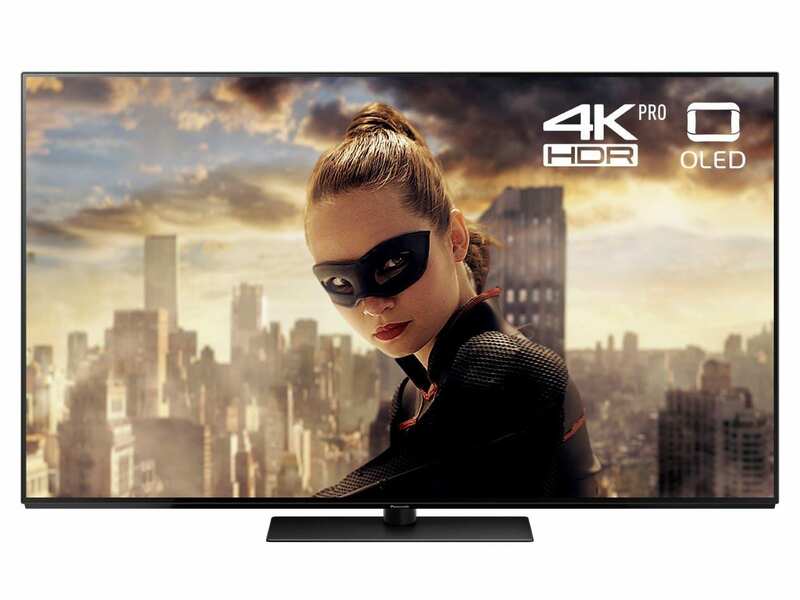 The TV gallery showed off the latest OLED screens from Sony, LG, and Panasonic, in addition to the brand new 8K and QLED screens from Samsung. The most up-to-date HDAnywhere video distribution system was also available to view, complemented by wall brackets and racks from SANUS. 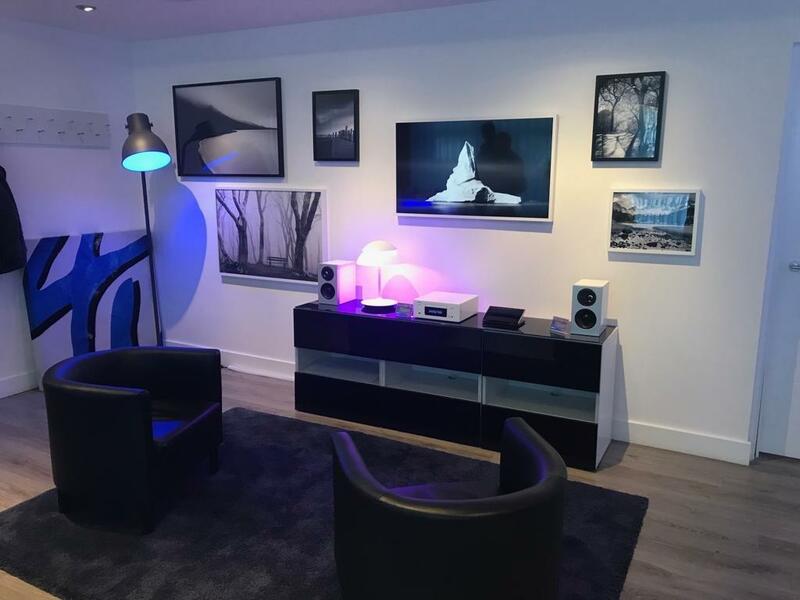 The gallery tour was rounded off by a large URC Total control 2.0 interactive demonstration, which controls QMotion blinds, Z-Wave products, and Philips Hue.